TimeZone : Public Forum » Motochron - Really?? Telling time on this dial would definitely make me nuttier than I already am....it appears to be roughly 10 minutes after 10. I have no problem at all reading the time. But I'm on the east coast. Invisible hour hand, the rest is decoration. 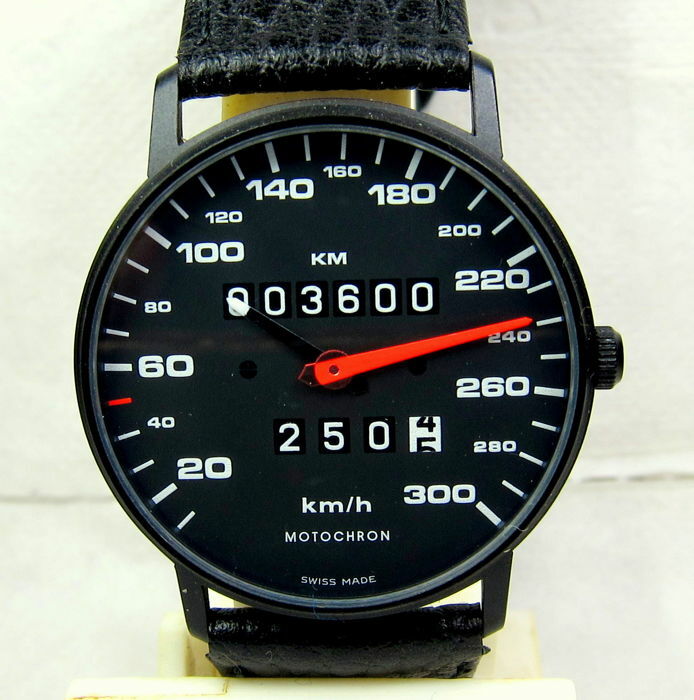 I wouldn't wear this watch as I think it resembles a speedometer but, it's cool and different. that watch has a lot of miles on it already.